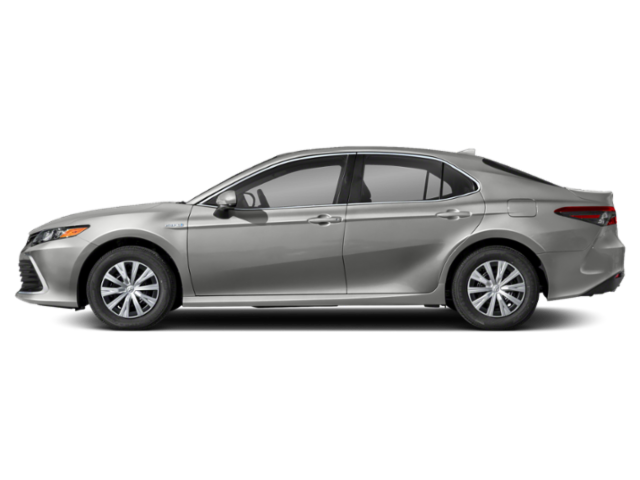 What to look for when buying a used Toyota Camry? The Toyota Camry is one of the most-produced cars in history and accounts for more vehicle sales in the United States than any other model. Introduced in 1982, the Camry began as a compact car and later becoming a midsize car. The Camry replaced the Celica model in most markets. The first-generation Camry was sold as a two-door, four-door, and five-door vehicle. Through the generations, the Camry continued to evolve with the "wide-bodied" (aka XV10) Camry entering the U.S. market as a more midsized sedan in 1991. At that point, V6 engines were available alongside four-cylinder options. New generations were added in 1997, 2002, 2007, 2012, and 2015. These were successively more modern and upscale and later generations included hybrid gasoline-electric models as well. The five-door and wagon stylings were dropped through these generations too. The Toyota Camry accounts for well over 400,000 vehicles sales per year in the United States alone. If the Camry were its own manufacturing brand, it would be in the top 10 automakers in North America. Camry models built in the 2008-2010 model years are most often complained about for excessive oil consumption, especially at high mileage (nearing 100,000). The Camry otherwise enjoys a reputation for reliability and dependability. The number of complaints per vehicle, including in those model years mentioned, is still well below average for the segment. The Toyota Camry is the dominant midsize sedan in America. Together with the Honda Accord, it defines the segment. For 2018, Toyota carefully messed with success, creating an all-new car, but one that is also very familiar. The new 2018 Camry has a new platform, exterior, interior and set of drivetrains. We fully tested a Camry Hybrid XLE and also drove the 4-cylinder LE and 6-cylinder XSE to get an understanding of how the full line feels when driven. Those looking for a V6 will be happy to hear that it returns in the Camry, unlike in the new Accord, which moved to lower power 4-cylinder engines, even in top trims. At the other end of the spectrum, the Camry's new hybrid again makes impressive fuel economy gains coupled with great off-the-line torque. Across the board, from fuel economy to power, Camry's new drivetrains top the specifications sheets in the class. Toyota also wraps the Camry in an exciting new skin that is less likely to polarize shoppers. 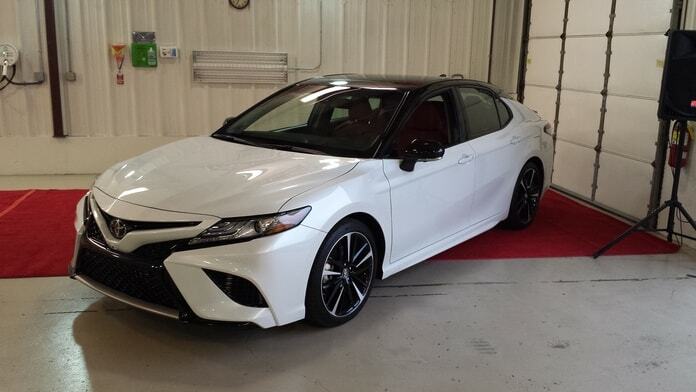 If sales are any indication, Camry shoppers love this new look. The new 2018 Camry starts at about $25,000 and a fully-loaded model can approach $38,000. Overall, there are 10 separate trims of the Camry. To its credit, Toyota keeps the options packages pretty simple. Shoppers should note that the SE and XSE trims have a slightly more aggressive front-end treatment. If you like the look overall but prefer a more mainstream grill, check out the other trims. 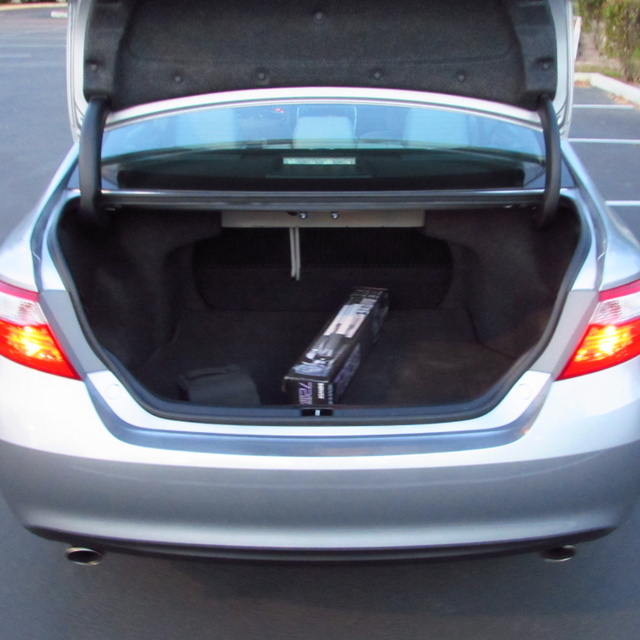 The Toyota Camry hasn't seen a lot of change in several years, but there wasn't much that needed upgrading. A sales dip in 2016 might grab Toyota's attention and demand an upgrade soon, but even with that drop, the Camry remains the best-selling car in America. By a wide margin. And there's good reason for that. The 2017 Toyota Camry is offered with two engine choices and a Hybrid model option. Shoppers new to the Camry will find that it's ergonomics, roomy interior and excellent reliability expectation are all strong selling points. The 2017 Camry is a 5-seat midsize sedan. We recommend shoppers seriously consider the Camry Hybrid model as the best option because of its wonderful drive dynamic and high real-world efficiency return. The 2016 Toyota Camry carries the sweeping changes made to the best-selling sedan last year. A new Special Edition model joins the lineup for added bling factor, but the five-seat sedan otherwise remains the same. For most buyers, this is a good thing. The 2015 model year brought huge changes for the once-staid Camry, adding a lot of eye-pleasing looks and building on the already-great interior of the previous version of the car. Now, with both comfort-oriented and sport-tuned options, the 2016 Camry comes in no fewer than six model and trim options. The base-level LE builds a foundation upon which the sporty SE and XSE models build and from which the SE and XLE trims flourish. Whether you want comfortable and quiet or sporty and fun, the Camry's got an option for you. The Camry's reputation for being the epitome of boredom is shed. The Toyota Camry family sedan was heavily revised for the 2015 model year with over 1,000 changes made meaning this was more than just a mere midlife model refresh. So despite the fact that its powertrain offerings are pretty much carried over with the 2.5 liter 4-cylinder, Hybrid and our tester's stout 3.5 liter V6 all on offer we couldn't help but feel like we were driving something altogether new in the 2015 Toyota Camry. And we think it has to do with more than just the elegant and lovely new steering wheel that Toyota has fitted to all Camry models. Apparently Toyota changed every exterior body panel but the roof of the Camry and it shows in how little it resembles last year's reserved and rather dorky looking version. Well, looking at the 2015 Camry the old one looks a little frumpy as does the heavily upgraded, stylized and nicer feeling interior. Toyota also added a number of safety and technology features as well as tinkered with the suspension and steering for a more involving drive. Clearly Toyota was aiming directly at our two class favorites the Honda Accord and Mazda6 so we ask, did they hit the bullseye? Read on to find out. Besieged by fresh new designs and powerful yet fuel efficient engines from Hyundai and Kia, along with redesigned models from Ford, Chevrolet, Nissan and Mazda, Toyota went all-out with the makeover of the Toyota Camry in 2012. Just one year later, the 2013 Camry continues to evolve, offering upgraded safety and comfort features and providing the kind of peppy performance and impressive fuel economy that mainstream America wants.